To celebrate LGBT History Month, we’re holding a friendly and practical workshop for people who want to help increase LGBTIQ+ representation within the widely-used website, Wikipedia. We’ll show you how to create an account and use it to update existing pages on LGBTIQ+ local history, as well as point you in the right direction for any new research you might want to do on the subject. 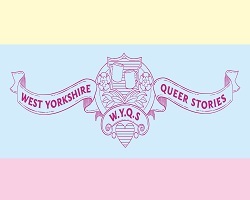 There will also be the chance to find out about the local archiving and oral history project, West Yorkshire Queer Stories, which aims to preserve LGBTIQ+ heritage in the region. To get the most out of the session you’ll need a basic familiarity with computers and the internet. Places are limited so, to ensure a computer, you can either book a single ticket for yourself or share a ticket (and a PC!) with a friend.